An enterprise application is a business application and computer software that is used to meet the needs of an entire organization rather than individual users. It provides business logic and tools to model entire business processes and improves productivity and efficiency of an organization as a whole. Organizations here include businesses, schools, clubs, interest-based user groups, charities, and governments. Enterprise Applications are primarily designed to integrate computer systems that run all aspects of an enterprise’s operations to facilitate coordination and cooperation of work across an enterprise. Types or trends in Enterprise Applications. Information Sharing: Enterprise Application Integration eases the flow of information. It enables the easy and smooth flow of information between separate software programs within a company, also it can combine and compile data for employees within an organization. In short, its integration creates a single point of access to data for people who need it. Streamlines IT Processes: Enterprise Application integration helps overcome barriers that may arise when people aren’t tech-savvy and may have troubles managing the IT structure and unable to utilize or cope up new technologies. Its implementation in any organization better’s functionality which combines functionality and information of various applications into a sole, easy-to-use interface. Greater Efficiency: It is what every business organization strives for, higher the efficiency, greater is the revenue generated. Enterprise applications provide different control and allow organizations to fully make use of their potential software investments. Increased Agility: It’s the best business advantages that the enterprise software/application offers and permits organizations to acknowledge, recognize and respond to opportunities more quickly. They help companies address reputation management issues, supply chain disruptions, address shifts in the market and more, all from a single interface. Flexibility in IT infrastructure: The software integration allows organizations to develop IT facilities and respond to growing expectations of the client. 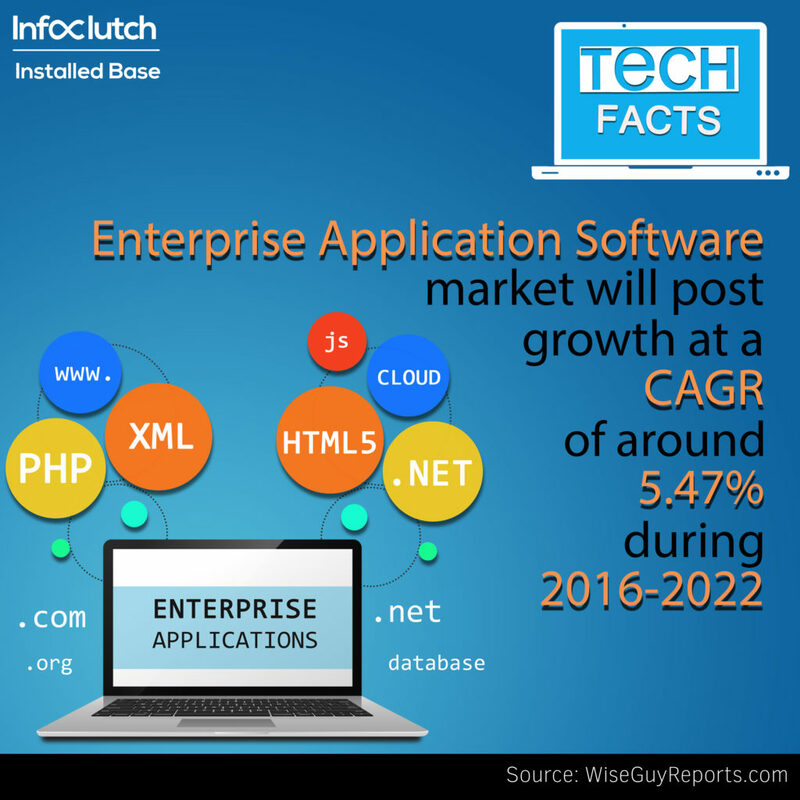 Enterprise applications overcome the hurdles and features by linking data practically of many applications into an easy to use interface. Process Automation: The software streamlines data or activity from various software applications. Like for example, CRM can be integrated with an e-mail platform to deliver targeted messages based on the customer’s prior behavior or demographics. The coupled analytics package can measure the success of an email campaign. Enterprise applications and their importance to Data Quality. Enterprise Application systems (EAS) are the central hub for a large number of sources and are useful for integrating enhancement and data validation solutions and guarantee that data entering into the system is of high quality. Data-driven insights that are accurate and up to date. The common features of enterprise software?